Electronic security in a museum is a conundrum that has a spectrum of enthusiastic supporters and begrudging adversary purists to contend with. One side declares “protect the art no matter what,” while the other shouts “how dare you interfere with the aesthetics of these cultural masterpieces.” Regardless of which side of the velvet rope you are on, one thing remains consistent, the hauntingly beautiful Pterodactyl fossils suspended from the ceiling are irreplaceable. Same goes for the canvas with the strategic yet sporadic splatters of warmly toned paint and the statue of the Greek god throwing a discus; these creations are invaluable. Once they are damaged, stolen, or maimed, there is no Amazon Prime or eBay coming to the rescue. The security companies that are members of the Electronic Security Association (ESA) that take on the task of protecting elements of the world’s society and culture are artists in their own right, and here’s why. The action movie lover in all of us would like to think that most museum robberies involve a group of criminal misfits, each with their own illegal specialty and unlimited access to tech gadgets, who come together for one final score. In actuality, “low-tech threats are much more of a concern than high-tech threats.” It’s the smash-and-grab style thefts and the loiterers who hide in dark corners until after hours to make their move that threaten museums. The likelihood of executing six back handsprings through a field of infrared beams followed by a leap that would make any world-renowned dancer jealous to just narrowly avoid the pressure-sensor floor is not very high. Joe-the-art-enthusiast can pay his entry fee to the museum just like everyone else and walk out with quite the souvenir or even lurk around the least popular exhibit to vandalize. These low-tech threats also come in the form of class field trips and weekend playdates; museum security must also take into consideration kids. While their curiosity and desire to learn is endearing, every oily fingerprint can have detrimental effects on art. Each touch is layered with dirt, oils, skin cells, and probably that mornings’ snack, each of which can result in chemical and physical changes. For example, continued touching of a bronze statue leads to a localized polishing effect and can yield aesthetic spoils such as welding lines, discoloration, and texture differences. Low-tech threats and sticky fingers are relatively easy to pull off when compared to sequential back flips. 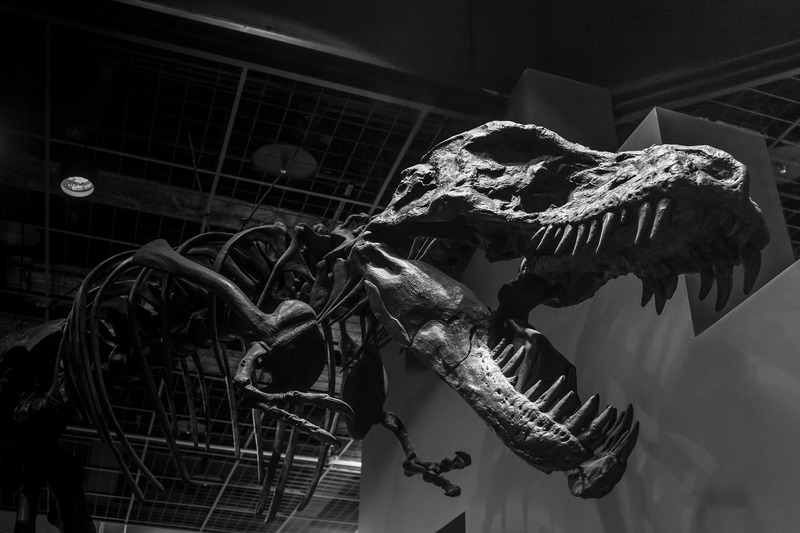 To protect exhibits, ESA Members have access to innovative technology that can combat any threat. Sensor technology, video surveillance, motion detectors, and elaborate alarm systems are cleverly implemented by these experts. Environment sensors can protect art from excessive UV light exposure via sunlight and monitor vibrations such as earthquake tremors and museum goers who have stepped too close. Glass-break sensors can be placed on windows to alert museum personnel when someone opens or breaks a window. A security system designer will fully saturate the building, which is often a piece of art as well, while not intruding on the experience of the patrons. A museum purist wants to freely feel and interpret a collection without barriers that can intrude on aesthetics. Some argue that the use of Plexiglas to protect art from various dangers is denoting the piece so cruelly that you might as well just see it in a magazine or on a website. For art lovers, seeing every fiber, brushstroke, or angle in a piece of work is vital and a wire sneaking underneath or a visible sensor is tragic. ESA Member companies that specialize in museum security are trained in designing systems that are not disruptive to the full exhibit experience or the art itself. In museums that don’t allow barriers or railings to separate visitors from centuries-old art, devices such as infrared sensors and motion detectors are used as audible warnings to curious observers who get too close. These strategic security pros become even more valuable when exhibits are mobile as systems must meet the needs of rotating collections and remain invisible at the same time. Each security implementation must be configured to maintain optimal protection of the art without being seen and not interfering with any other device. For example, moving an eight-foot sculpture three feet to the right could create a pocket that is untouched by motion detectors and outside of the watchful eyes behind the video surveillance system. Sensor technology will need to be adjusted in the event of different materials being monitored. For example, glass cases and polycarbonate cases for artifacts are not interchangeable when considering a glass-break sensor as each element breaks at a different frequency. Rotating collections present an entirely new element to security system implementation that ESA Members companies have the experience to handle. Traditional commercial entities want to keep people out and keep inside operations private. Not too many businesses would take kindly to hundreds of strangers walking in every day and peeking through their files but museums do just that. They invite hundreds of people every day to come inside and check out their latest collections. This business model requires significant security efforts that are just as unique as each masterpiece within its walls. Over 50% of ESA Members serve this market and it’s easy to see why highly skilled security professionals are the best option. To find a trusted security company that is a member of ESA visit www.Alarm.org today.